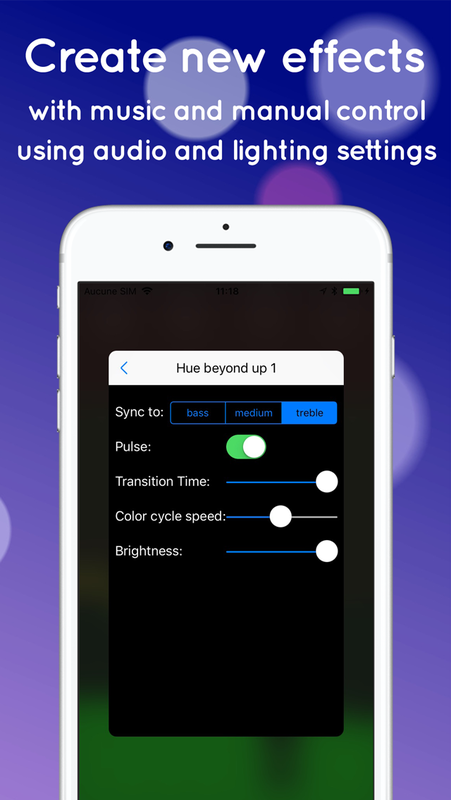 Home Light Show controls HomeKit and/or Hue lights with music from the iPhone/iPad microphone. Very easy ambiances set up and customization . You can assign lights to bass, medium or trebble, have your lights react to kicks, snares or hats ! 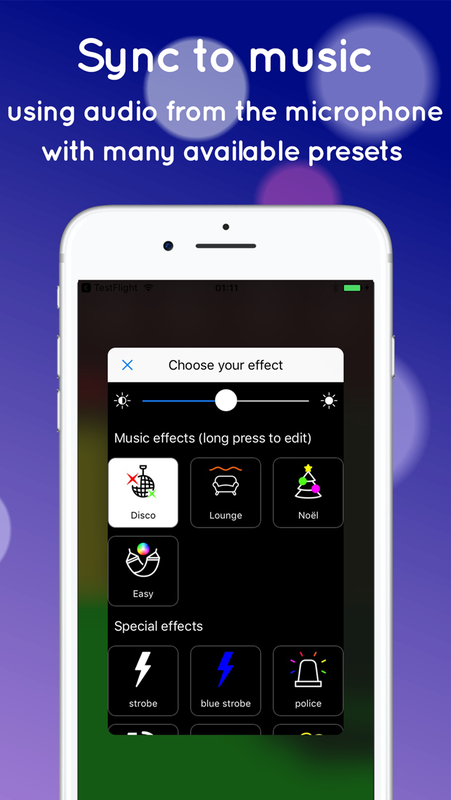 Includes Apple Watch app to launch your lighting scenes and control main brightness from your wrist. 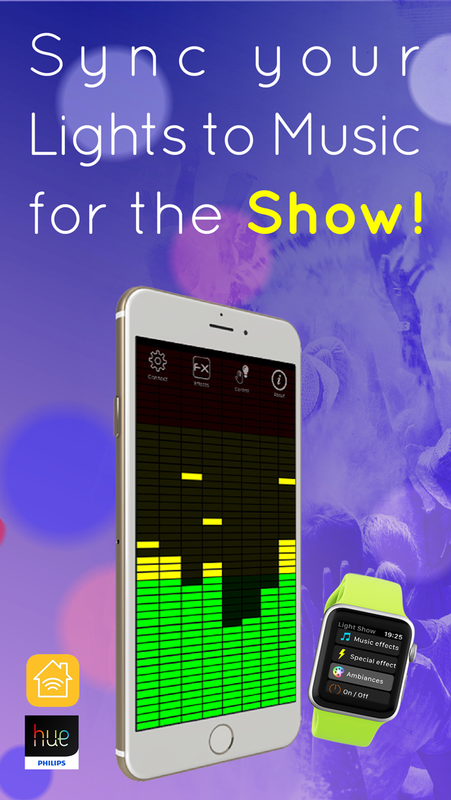 For a light show with music from the iTunes library, try our Infinite Music app. Thanks! – New harmonic color generator with 5 user selectable modes for always good looking light shows. Does it surppor koogeek led light strip?